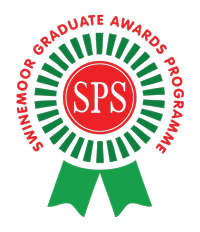 This part of the website contains the syllabus for the Swinemoor Primary School Design & Technology Graduate Award. Once you have passed you will receive a badge and be known as an SPS Design & Technology Graduate! Between 1957 and 1969 the Soviet Union (now known as Russia) and the United States of America (USA) competed to see who could explore space most effectively and with the best technology. This was known as The Space Race. The President of the USA, John F Kennedy, responded to this by beginning The Apollo Program. The Saturn V was a type of rocket – the largest, most powerful rocket ever built. It was, in fact, three rockets in one. The Saturn V was a crucial part of the Apollo project – a mission to send humans into space. On July 16th1969, millions of people around the world watched the launch of Apollo 11 from the Saturn V rocket on television. It was launched from the Kennedy Space Center in the USA, carrying three astronauts called Neil Armstrong, Buzz Aldrin and Michael Collins. The Saturn V rocket was designed by Dr Wernher von Braun. It was built under his direction when he worked for NASA. Born: 23rd March 1912, Germany. 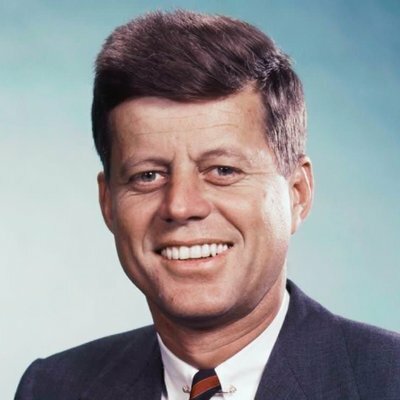 Died: 16th June 1977, USA. 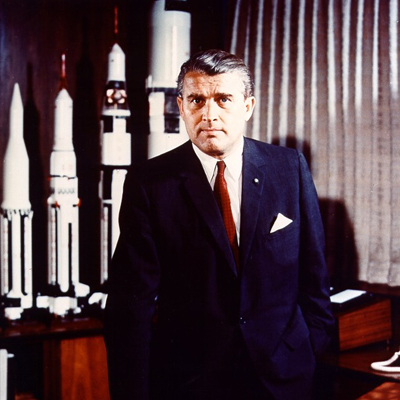 Career: Dr Wernher von Braun was a German engineer and scientist. He worked for the Germans during World War II (1939-1945). After the war he went to the USA to work for the US Army and then for NASA. How tall was the Saturn V rocket? 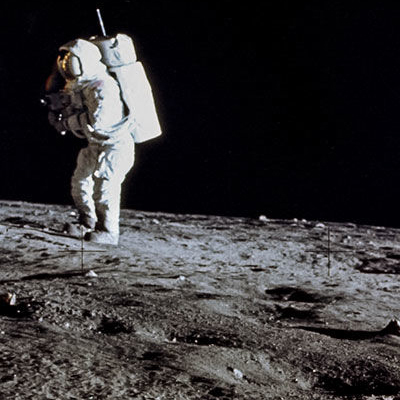 Which American President began the Apollo Program? Who designed the Saturn V rocket? Why did the first stage of the Saturn V rocket need five engines? Name the three modules of the Apollo spacecraft. 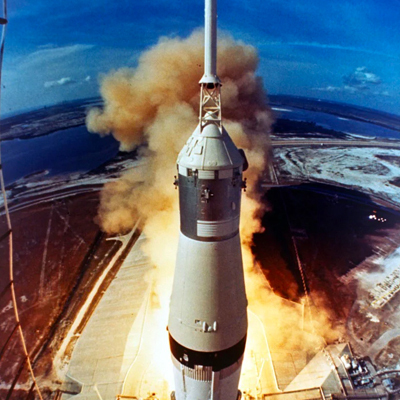 On what date was the Apollo 11 mission launched? Name the three astronauts on the Apollo 11 mission. What were Armstrong’s words as he first walked on the Moon? Tell me a fun fact about the Saturn V or the Apollo 11 mission.